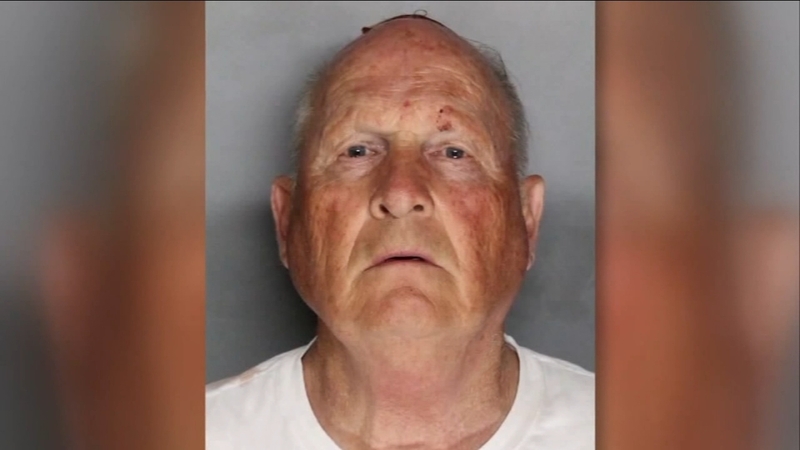 A new update is expected Tuesday morning in the case of Joseph DeAngelo, the man accused of being the Golden State Killer. ORANGE COUNTY -- The Golden State Killer suspect, who is charged with murders in Orange County and other jurisdictions in California, will be tried in Sacramento County, prosecutors announced Tuesday. During a joint news conference held in Santa Ana, prosecutors also announced the filing of 13 additional kidnapping charges against Joseph DeAngelo, 72, of Citrus Heights, as part of an amended complaint in Sacramento County that consolidates all the charges against him. DeAngelo faces 13 murder charges for deaths that happened across the state in the 70s and 80s - including a couple in Dana Point and two women in Irvine. He is accused of other murders in Ventura, Goleta, Visalia and Rancho Cordova. Prosecutors from Tulare and five other counties will come together, to make an announcement. DeAngelo already faces 13 counts of murder from several counties across California, including Sacramento, Orange, Ventura, Contra Costa and Santa Barbara. Visalia Police also believe DeAngelo is responsible for the murder of College of the Sequoias journalism professor Claude Snelling. Snelling was shot and killed in 1975 while trying to stop the kidnapping of his teenage daughter. Last Monday, the Tulare County District Attorney announced DeAngelo would be charged with first-degree murder in the killing of Snelling. Detectives are also confident DeAngelo is the "Visalia Ransacker"-- who is responsible for at least 100 burglaries in the mid 1970s. During the time of these crimes, DeAngelo worked as a police officer in the nearby town of Exeter. DeAngelo was arrested back in April and has already been charged with other murders. He is currently being held in Sacramento County. KABC and KGO-TV contributed to this report.